Don't let the SUN fade your hair. Keep The SUN OUT! Summer time is here and harsh UV rays will turn that beautiful hair color into a brassy, faded nightmare. B. 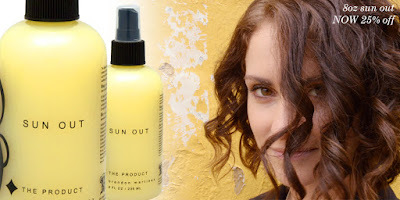 The Product's Sun Out will help significantly with keeping your hair color in shape while your sitting poolside. Watch this video to see how the SUN OUT works.